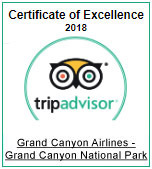 Grand Canyon Airlines is pleased to offer this Grand Canyon West air tour with an included interior tour of Hoover Dam. This tour takes off from our Boulder City terminal where passengers will board an airplane specifically designed for aerial sightseeing. Our fleet is equipped with high wings for optimal viewing and photography, as well as an air-conditioned cabin for comfort. Plentiful photo opportunities await as guests fly over Hoover Dam, Lake Mead, and the Colorado River on the way to the stunning Grand Canyon West. Once the flight returns to the airport, passengers will have time to shop for souvenirs and enjoy a meal before continuing the tour. Next, guests will board a motorcoach for a short journey to Hoover Dam. Enjoy a VIP guided tour of the inner workings of the dam, including the powerhouse generator room. A guide will provide the history of the dam's construction along the way. Ample time will be provided for photo-taking, exploring, or simply strolling the observation deck. As with all of our tours, complimentary hotel pick-up and drop-off shuttle service is included at the start and finish of the journey. Fly over Hoover Dam, Lake Mead, the Colorado River, and Grand Canyon West. Upon return to the terminal, time is provided to do some souvenir shopping and enjoy a meal before the next part of the tour. Board a motorcoach for transport to Hoover Dam. Included is a guided VIP tour of the inner workings of the dam along with the history of its construction. There will be ample time for photos and exploring. Return to the motorcoach for hotel transfers back to your Las Vegas hotel.